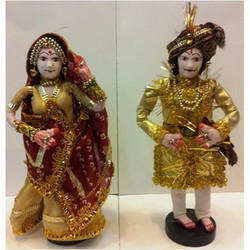 A beautiful piece of Rajasthani culture and art. Puppets (Katputli) is a well know tradition entertainer show which is done using puppets and moving them with the help of threads attached to them more. 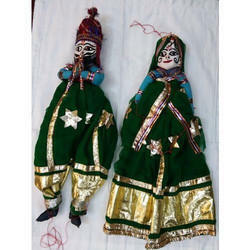 Kathputali, Wooden String Puppets in Pair, Fine Art of Rajasthan. 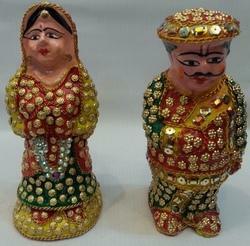 These type of Rajasthani puppets are used for decoration. They are hanged on wall to give traditional look. Face is made of wood. 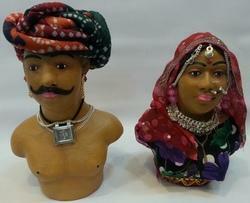 They are hanged to give colourful Rajasthani look . We offer Designer Umbrella to our clients. 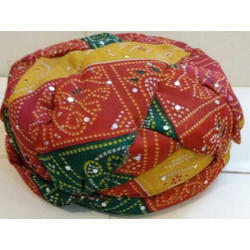 We offer Rajasthani Pagdi to our clients. 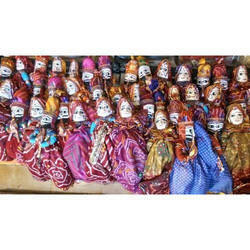 We offer Rajasthani Doll to our clients. 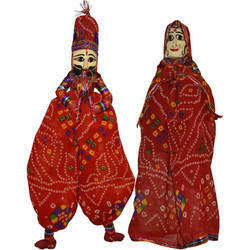 We offer Rajasthani Puppet to our clients.